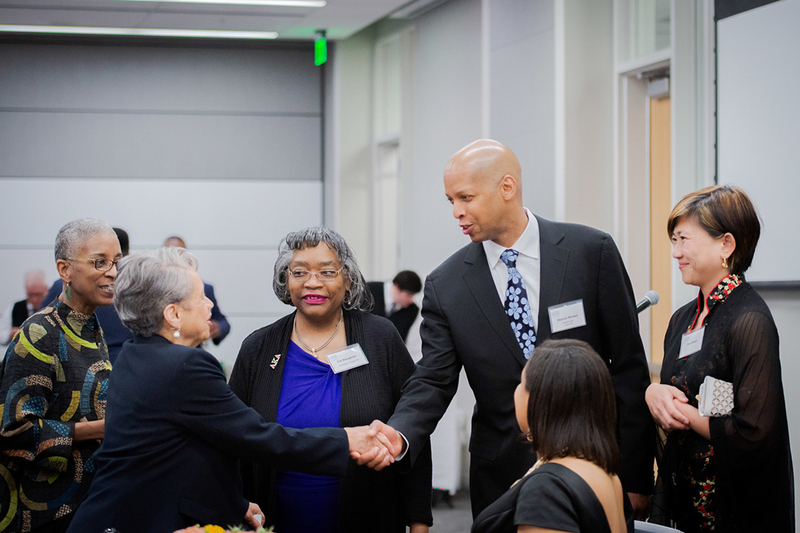 President Thomas LeBlanc, second from right, with IMPACT Award winners (left to right) Richard Fowler, Christine Darden and Warren Brown. 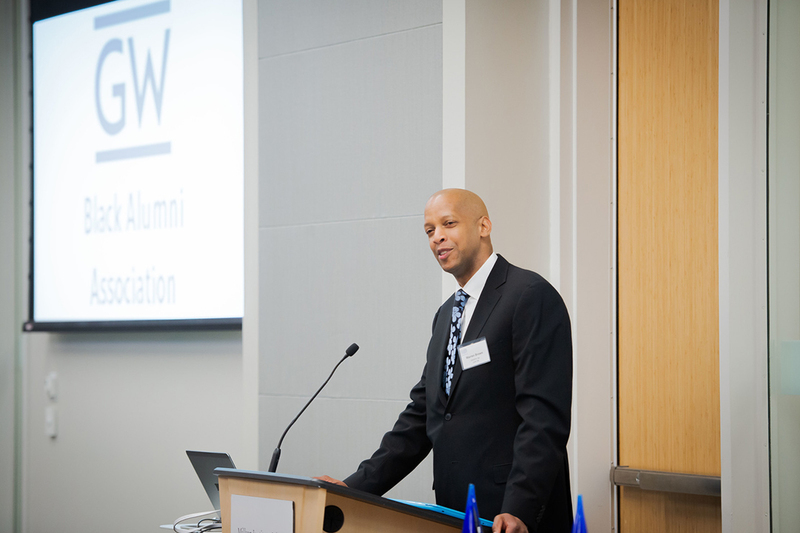 More than 100 GW graduates returned to Foggy Bottom for the 2019 Black Alumni Reunion. Hosted by the GW Black Alumni Association, the weekend provided opportunities to network, learn, celebrate fellow alumni and connect with current students. 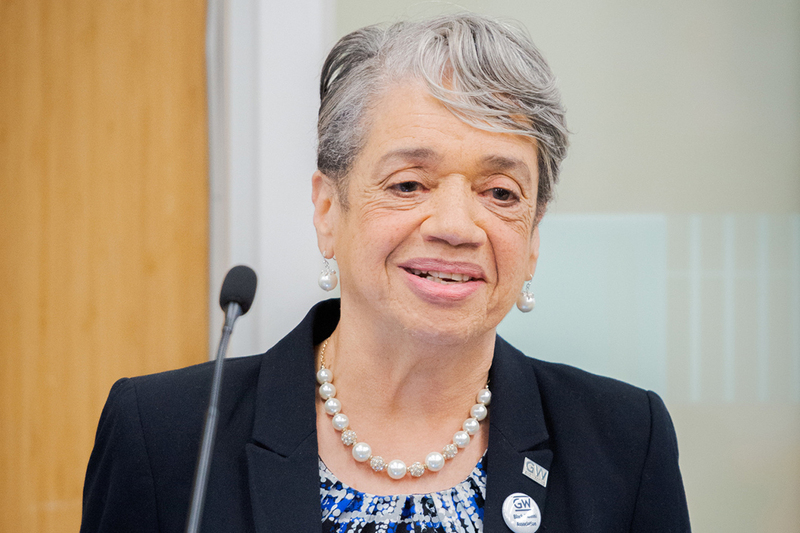 One highlight of the weekend was the GW Black Alumni Association IMPACT Awards, which this year honored Christine Darden, D.Sc. 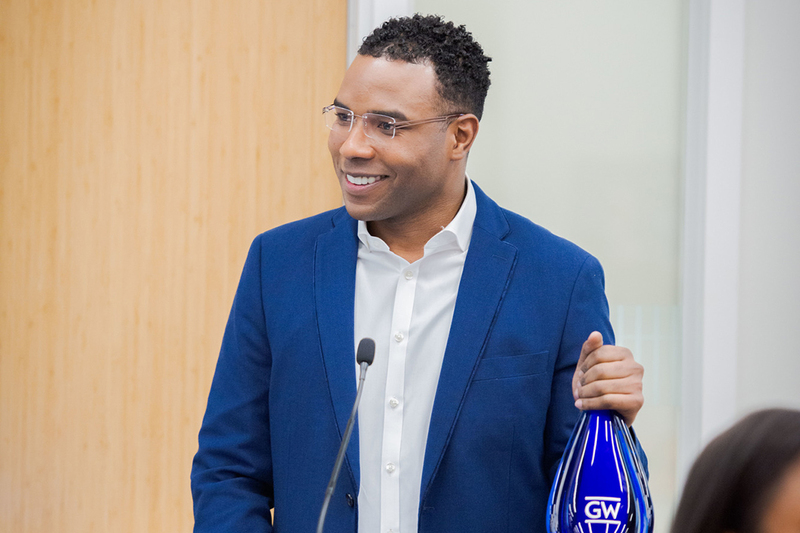 '83—who will receive an honorary degree at Commencement 2019—Richard Fowler, B.A. '08, and Warren Brown, M.A. '98, J.D. '98. 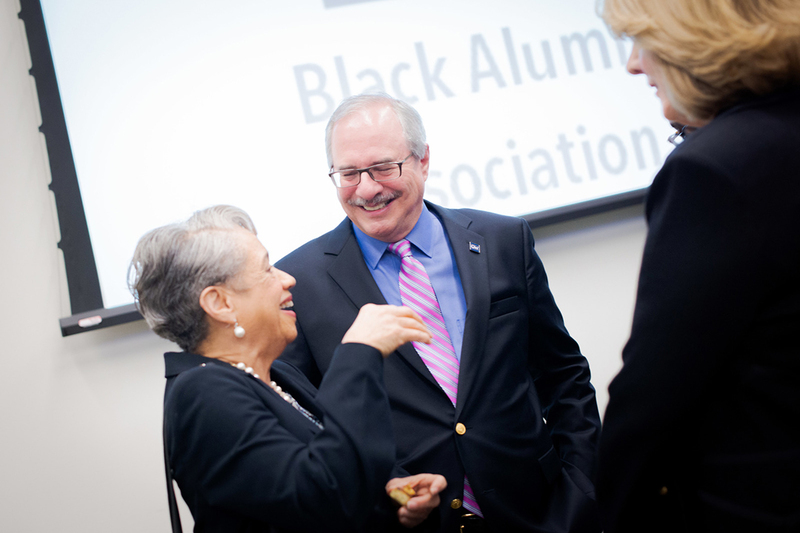 The reunion activities closed on Sunday with an opportunity for alumni to meet and network with black students in the class of 2019. Photos by Abby Greenawalt.